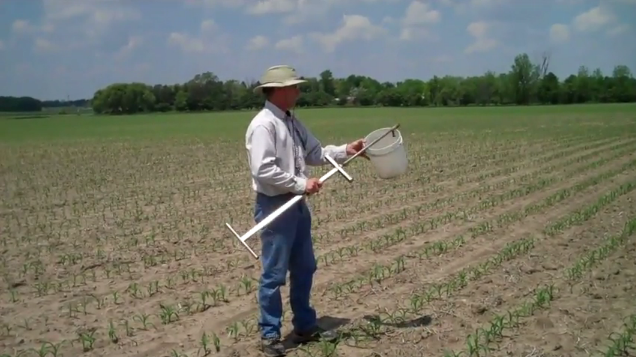 Over the past year I have written about nitrogen management in corn more than I would like. The reason I persist is because it has become very clear to me that data-driven nitrogen management is one area many farmers are missing out on. Mistakes are being made on the sides of N-excess and N-deficiency, both of which are very costly. In times with razor-thin margins, we have to make sure that we are leaving no low-hanging fruit on the tree in an effort to keep costs down while still optimizing crop yield. those whose primary concern is water quality often think that the PSNT over-recommends N. While it is true that, when done properly, the PSNT almost never under-recommends N, farmers who use it often end up putting more N where they need it and less where it tells them they don’t. Overall, this will result in less surface- and ground-water contamination. soil scientists might not like it much because it seems like a crude tool that does not account for all of the variables that affect the nitrogen cycle. While this is true, an axe is better than no cutting tools at all. Interestingly, Cornell is in the final stages of developing ‘Adapt-N,’ a computer-based tool that accounts for many of the variables at play in the nitrogen cycle. It accounts for many of the variables that we know influence the nitrogen cycle and uses them to calculate the need for sidedress N in a given field: yield goal, crop history, soil texture, temperature, precipitation, manure analysis (yes, that means manure sampling), and other agronomic factors. Based on what data is entered by the farmer or consultant, the program generates a recommendation. If this tool works as hoped, it could greatly reduce or eliminate the need to take PSNT samples. Because this program has not yet been ‘truth-tested’ in Vermont, it is a bit early to give it a hearty endorsement, but significant efforts are underway to evaluate it. Until the Adapt-N program is proven more locally, the PSNT remains a great option. In past articles, I mentioned a farm in the Northeast Kingdom of Vermont where they decided to use the PSNT to generate sidedress N recommendations. In the recent past, manure had been the sole source of N for their 160+ acres of corn. In the 2011 growing season the farmer learned that, 8 of their 13 fields had a sidedress N recommendation, ranging between 50 and 120 pounds of N (actual) per acre. Forgoing the discussion about how this data-driven N management strategy likely paid them back $2 for every $1 invested, I want to mention other follow-up work that we did in those same 13 fields last fall to check up on whether any of the fields actually ended up short on N. Late-season corn stalk nitrate testing (a ‘post-mortem’ tool used evaluate N fertilizer management programs) show that all of the fields that were tested were in the ‘optimal’ or ‘excessive’ range, meaning that we can be confident that yield was not lost due to N deficiency. Interestingly, of the five fields that had a ‘zero’ recommendation for sidedress nitrogen, three were in the ‘optimal’ range, and two were still in the ‘excessive’ range, emphasizing the fact that where the PSNT says ‘don’t add any more N’ it is not likely to be leading you astray. If you are interested in being part of our ‘Adapt-N’ truth-testing process in Vermont, please contact me at daniel.hudson@uvm.edu or call 802-751-8307. What About Sidedress Nitrogen for Your Corn?